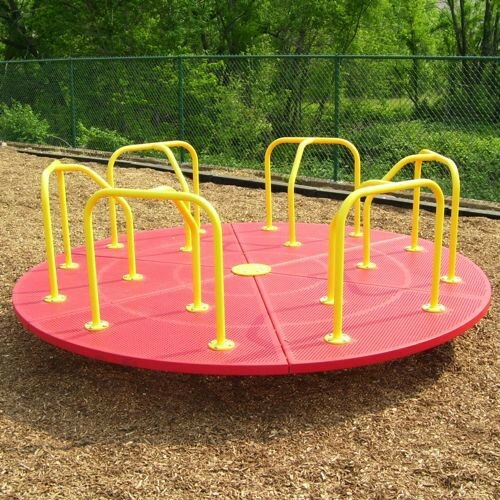 In the primitive playgrounds of my childhood, my father pushed the hot metal merry-go-round at breakneck speeds, my brother and I shrieking and holding on for dear life. We learned to hold tight to the nearest pole, arms and legs wrapped like baby monkeys around our feeble anchor. Had we let go, we would’ve been flung into the whirling scenery, small human projectiles. When the spinning stopped, the background kept going, and we staggered like diminutive drunks, our arms akimbo attempting to balance. That’s the best feeling I can conjure for what it’s been like for the past few months. In the space of one summer, we had two graduations (one from college, one from high school), a wedding, an out-of-state move, and finally, packed our last fledgling off to college. When that merry-go-round stopped spinning and the busyness subsided, we blinked at each other in the quiet, clutching hands for stability. Our nest of four had suddenly become a party of two. The old spots I used to rely on to prevent dizziness in the spin of parenthood were missing, and for several weeks a sense of disorientation and unease was unshakable. We knew the house would be quieter, but we didn’t anticipate the other changes that made us feel shifty and uncomfortable, like wearing a sweater a few sizes too big. The contents of the pantry and fridge changed. No one drank the milk each morning (or early afternoon) with cereal, so we no longer keep the familiar half-gallon on hand. In fact, entire aisles at the grocery store are now obsolete. Obviously the diapers and baby products were abandoned long ago, but off the list went the requisite teenage boy snacks. We notched up the a/c upstairs, the bedrooms uninhabited. We only need to climb the steps when we need a suitcase from the bonus closet, so might as well save on the electric bill. It takes longer to amass a full load of laundry, and the dog needs extra walks because the boy who could always be counted on to play tug-of-war or chase isn’t blowing off steam in the afternoons after school. We still liked each other, the spouse and I. We had to say that out loud every now and then as we renegotiated and adjusted our routines and rhythms. Our dance steps were a little off — we stepped on each other’s toes as our expectations of ourselves and each other shifted. Our conga line had become a tango, and the tempo had changed. Admittedly, there was a bit of tip-toeing around, eyeing each other sideways and trying to gauge moods and emotional availability. This is the same thing that happened when the children were newborns. Children up-end your life both coming and going, it seems. After twenty plus years of mentally juggling four lives, my attention was my own once more, and it was strangely unsettling. “Give me a week,” I announced. “Of sitting in this before you need me for anything.” I wanted to feel the house’s stillness, mull things over in my mind about our next chapter, and yes, be sad over losing the way things had been for so long. So I did, and I was. But my curiosity about what lay around the corner and my pride and excitement for the paths our kids were on burned away the fog of melancholy soon enough. They’d launched, and the two of us back at headquarters were still full of pluck and vinegar. 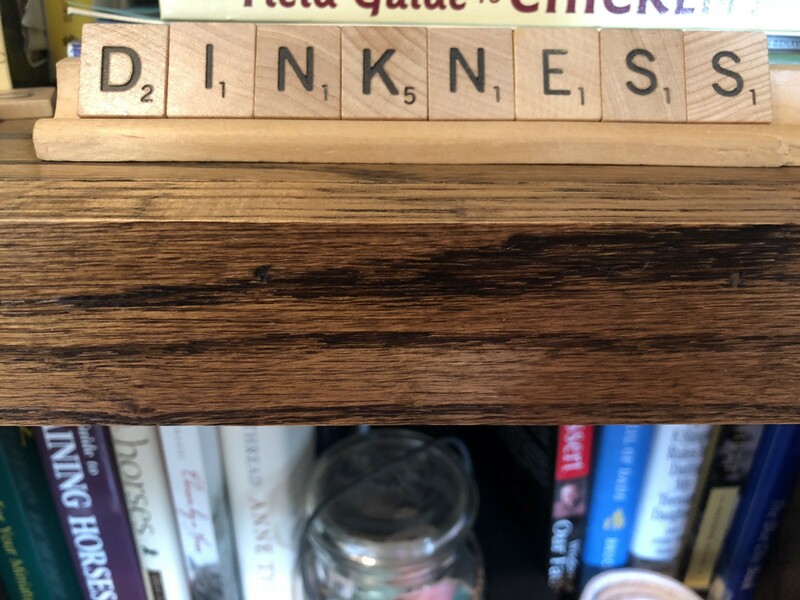 A Scrabble tile rack with a handful of letters sits on our bookshelf. I use it to spell out one-word attitude reminders like “joy,” “kindness,” and “love.” For the longest time, I’d place a word for the week and come back to find it had been rearranged into some garbled nonsense or, more often, an “alternate” word choice. Kindness became “dinkness,” for example. This, of course, was my son’s doing: his idea of subversive hilarity. What even IS that? I’d cry in mock outrage. We’d go back and forth at it, each of us changing the word and seeing how long it would take for the other to discover the sabotage. When we moved this eager sapling boy into his dorm earlier this year, he got the last word. I was too busy checking off lists as we packed to notice the Scrabble defacement. It was days later, when my eyes wandered to the shelf as I waited for my coffee to brew, that I had to laugh. He came home briefly the other day and I caught him smirking in the kitchen. “You’re not very observant, mom.” He glanced at the shelf. I smiled up into his triumphant blue eyes. “Oh, I noticed it. I just thought I should leave it there.” I got a rare hug. Perhaps he felt, too, how the familiar house had changed in his absence, how the buzz of activity had lulled to a low hum. In the days to come, as we enjoy our new routine and menus and discover this new rhythm in our roomier nest, that tile rack will remain unchanged. It’s a good reminder to us to keep laughing, even when it stings a little, and to treat one another gently. No matter how strong we are, there are times when we can all use a little human dinkness.